The Ultimate Lens Package Offer has been extended through the end of 2018! What is the Ultimate Lens Package (ULP)? The ULP is a combination of three innovative technologies for your ultimate in vision, clarity and protection – together in a single lens. Double your lenses for FREE when you purchase the Ultimate Lens Package and a second pair of frames. Buy a pair of eyeglasses which include the Ultimate Lens Package, and receive a 2nd pair of equal or lesser value at no cost. 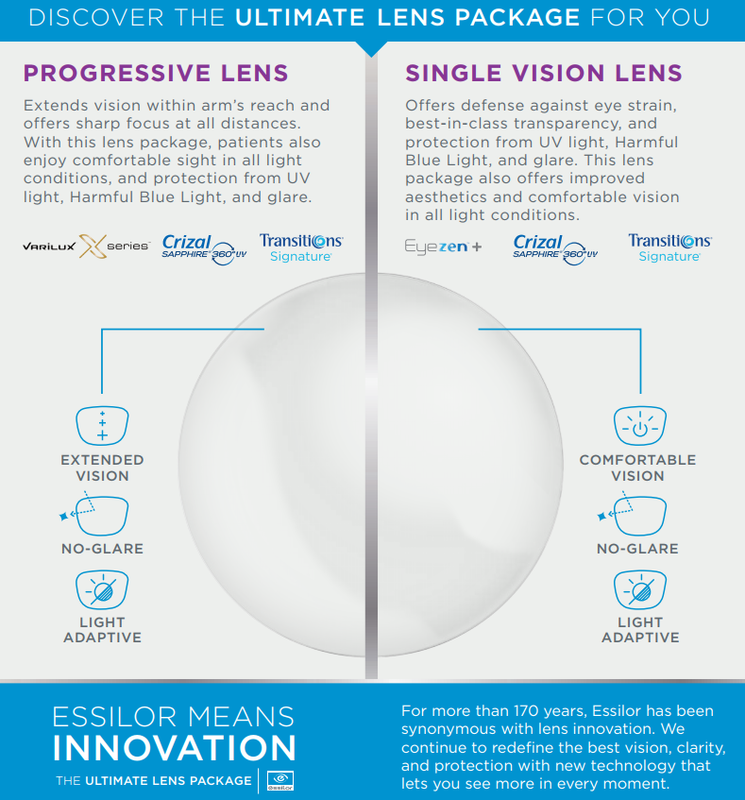 The lenses on the 2nd pair must incorporate at least one of the following: Varilux X, Eyezen+, Crizal, Transitions or Xperio UV. You can use insurance benefits to purchase the lenses.